We are honored to be part of the remodel of the iconic Rainbow Room that epitomizes the glamour and charm of New York City. From the main terrace to the garden along the gallery, we added trees, clipped topiaries, hedges and pottery in varying sizes that introduce a lush, green softness in contrast to the limestone architecture. 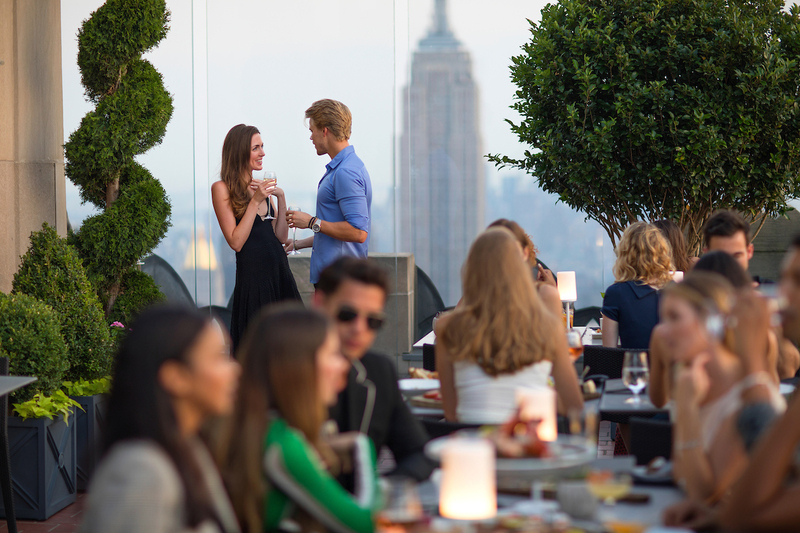 On the main dining terrace, we also reconfigured the chair and table layout to maximize the Manhattan skyline views 65 stories up. Beautiful privet trees soften the corners while tall arborvitae spirals frame the large windows. Boxwood globes, cones, and hedges accented by colorful vinca and English ivy create an exquisite combination of color and texture atop the world class perch with breathtaking views of the city in all directions.